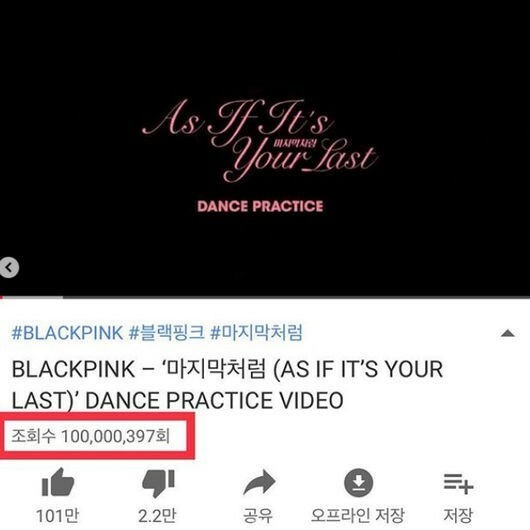 Black Pink's 'As If It's Your Last' dance practice video hits 100 million views! The "As If It's Your Last" dance practice video has hit 100 million views! Congratulations! When you only have 6 M/Vs and 5 dance practice clips, you will be making and breaking records! YG how many more years do we have to wait for a full alubum?